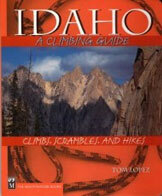 The Salmon River Mountains are covered in the book on pages 108 to 144. All Salmon River Mountains peaks covered on this website can be found at this link: Salmon River Mountains Updates. 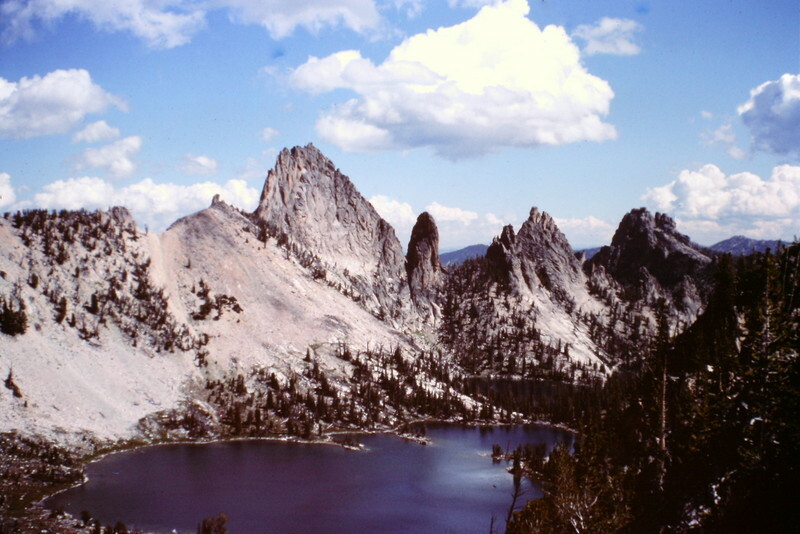 The Salmon River Mountains are the second largest of the Idaho Batholith mountain groups. These mountains are named for the Salmon River, which encircles nearly the entire range, forming its boundary from Riggins in the northwest, to Salmon in the northeast, to Challis in the southeast and finally to Stanley, halfway across the range’s south boundary. 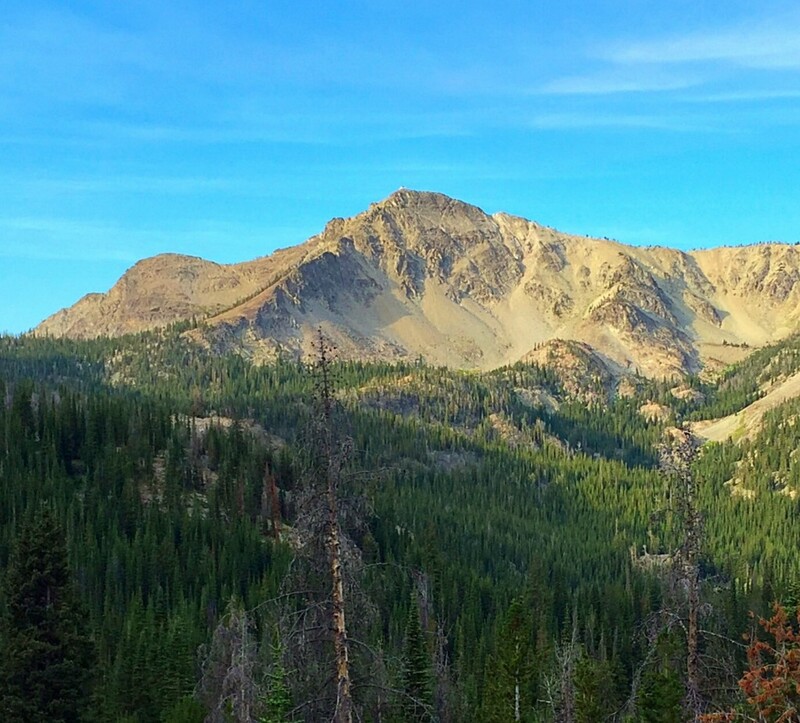 Map makers have identified Six subranges within this mountain kingdom: Bighorn Crags, Tango Peaks, Yellowjacket Mountains, Grass Mountains, Lick Creek Range and the North Fork Range. Each of these subranges are covered in the book and on this website. Sleeping Deer Mountain from the north. For orientation purposes the book divides these mountains into 11 geographic groups. 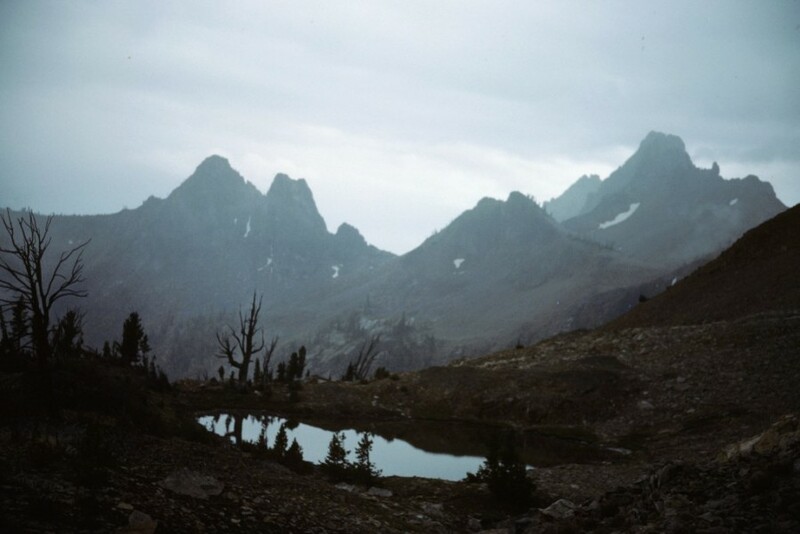 The Frank Church River of No Retrun Wilderness encompasses nearly two million acres of the Salmon River Mountains (this wilderness also includes sections of the Clearwater Mountains). Forest Service FCRNRW page. 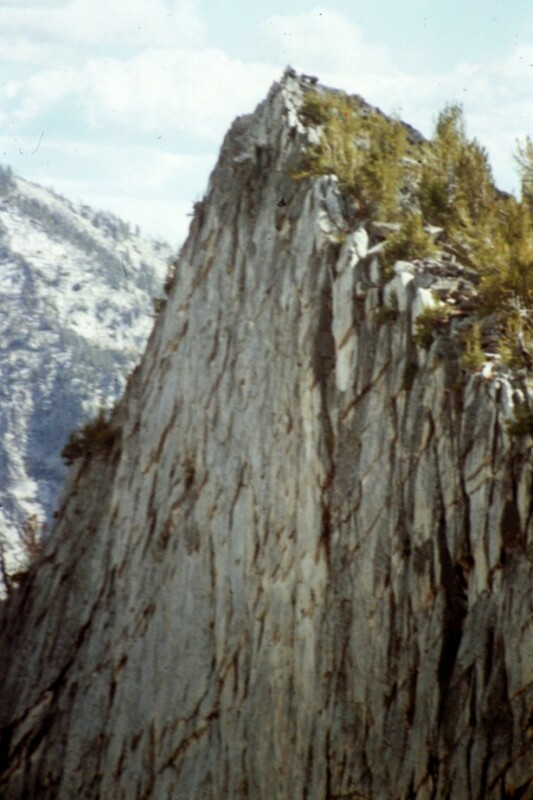 There are a multitude of varied climbing objectives in this massive range, The Bighorn Crags and the Tango Peaks in the east offer many technical climbing opportunities and the Lick Creek Range in the west also has the potential for technical routes. In between are many peaks worth hiking. Some close to roads and some days from roads. 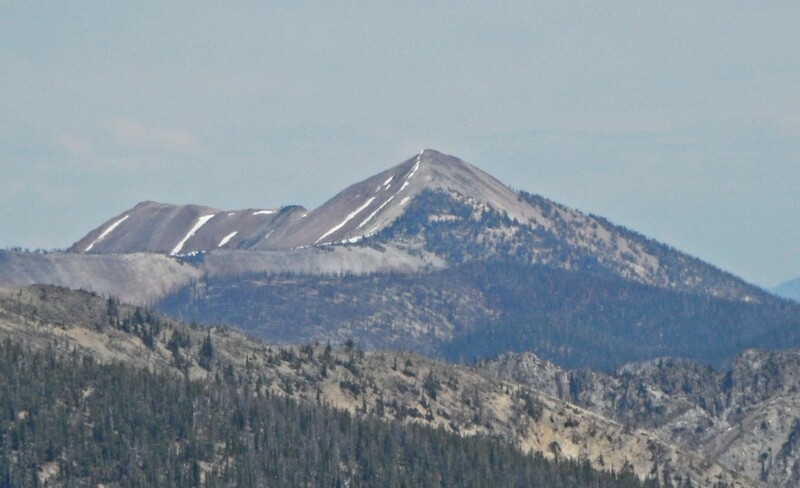 Sleeing Deer Mountain and Big Baldy Peak are among my favorite destinations. These mountains are covered in detail the book from pages 108 to 144. Knuckle Peak and Harbor Lake from the slopes of Ramskull Peak. The Cabin Creek area on a rainy afternoon. Storm Dome from Storm Peak. 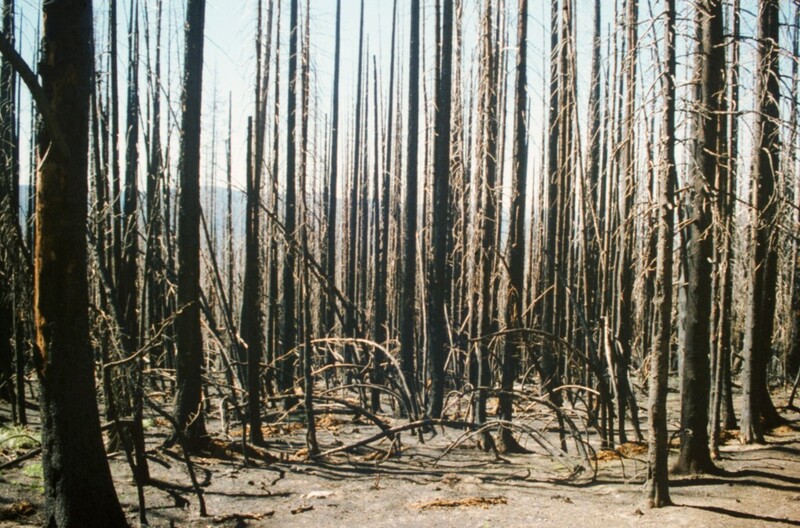 Sadly, fire damage like this scene near Lava Butte is typical of huge stretches of Salmon River Mountains. While fire is a natural part of this environment, the fires that have burned these mountains seems to be well above the historical norm.